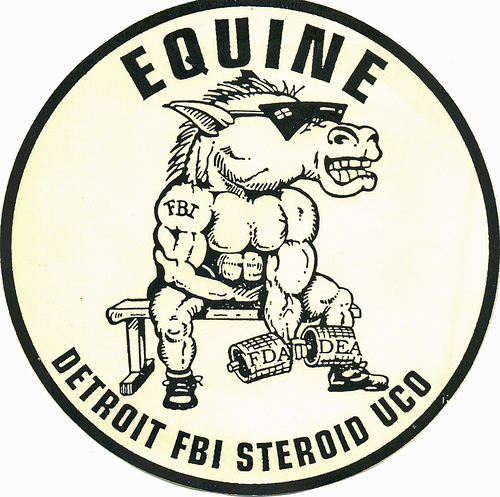 An anabolic steroid dealer who supplied Mark McGwire and Jose Canseco was busted by the Federal Bureau of Investigation (FBI) during a federal steroid investigation codenamed Operation Equine in 1992. Former FBI Special Agents Bill Randall and Greg Stejskal arrested Curtis Wenzlaff who provided the federal government with evidence linking McGwire and Canseco to steroid use. Wenzlaff even provided details of the specific steroid cycles Mark McGwire allegedly used. The government knew that Major League Baseball players, such as McGwire and Canseco, were illegally obtaining anabolic steroids from steroid dealer(s) caught up in Operation Equine. However, law enforcement generally targeted dealers and not individual users at the time. While the FBI shared this information with MLB (who ignored it), they did not feel it was worth the time and effort to pursue individual users. Greg Stejskal, one of the former FBI agents who led Operation Equine, recently wrote an article criticizing the federal government for wasting taxpayer money on prosecuting athletes. Stejskal argues that prosecutorial discretion and cost-benefit analysis should be a factors to consider when pursuing steroid cases. The article is entitled “Ex-FBI Agent Says Forget About Clemens and Bonds; Go For the Big Fish in the Steroid Mess“. It’s generally accepted doctrine, at least when I was working drug cases, that you try to work up the food chain and go after the bigger fishes so to speak. Shouldn’t prosecutorial discretion apply if that lie is extremely difficult (read expensive) to prove? Prosecutions should not be based solely on a cost benefit analysis, but it should be a factor. Being cynical, I wonder how much consideration was given to the celebrity of the defendants and the media interest in the prosecutions. Operation Equine represented the largest steroid bust (to specifically target steroids in sports) in the history of the federal government. Many people are under the mistaken belief that the BALCO investigation is the largest steroid bust affecting sports. Operation Equine involved approximately 70 steroids dealers around the country with over 10 million dosage units of anabolic steroids. BALCO, by comparison, only involved a handful of dealers, a few convictions of athletes on perjury charges and only a few dozen dosage units of steroids. Operation Equine was conducted like a traditional drug investigation whereas BALCO was conducted like a steroid witch-hunt targeting celebrity athletes. Perhaps, modern-day investigators and prosecutors are more interested in garnering publicity and media attention rather than making a real impact into steroid distribution.